Approximately in a month the new generation of Microsoft's console will be released, and so the developers decided to remind us about this fact. Less than an hour ago the official Xbox channel published awesome Xbox One trailer, which invites us in the new generation of gaming. Xbox One trailer shows us, how the new console will change the world around. You can be everywhere and do many different things, but when you switch Xbox One on, the reality stops and the virtual gaming world spreads all over. 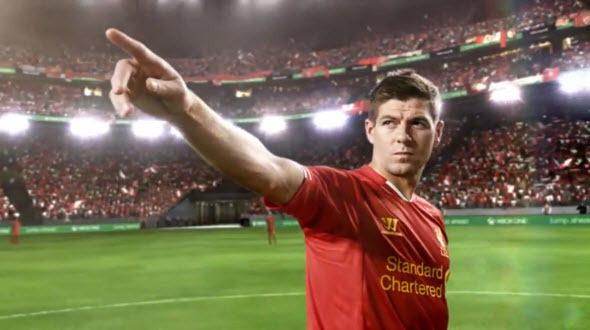 The video features several famous people, such as Steven Gerrard and Zachary Quinto. The first one is a popular English footballer and the second one is an actor, who is famous because of numerous TV shows and Star Trek movies. They together with various Xbox One games are inviting us to join the endless entertainments that start right on your couch. Let's go, shall we? Xbox One will be released on the 22nd of November in Europe and North America and will get the numerous improvements in hardware. In our previous article you can see the list of some games that will be released for the console, however this list is not full.